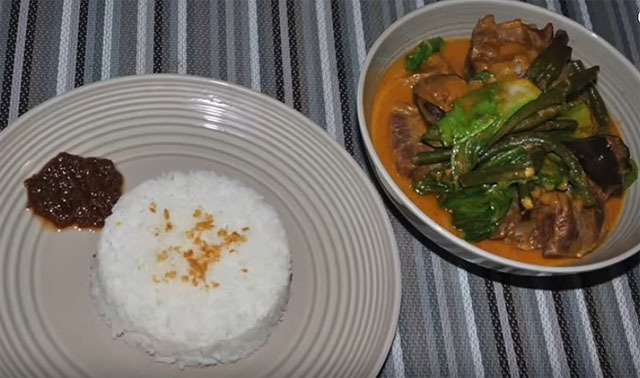 Kare Kare or Beef in Peanut Stew (some calls it as Filipino oxtail and vegetable stew) is a traditional Filipino food complimented with thick, savory and flavorful peanut sauce. 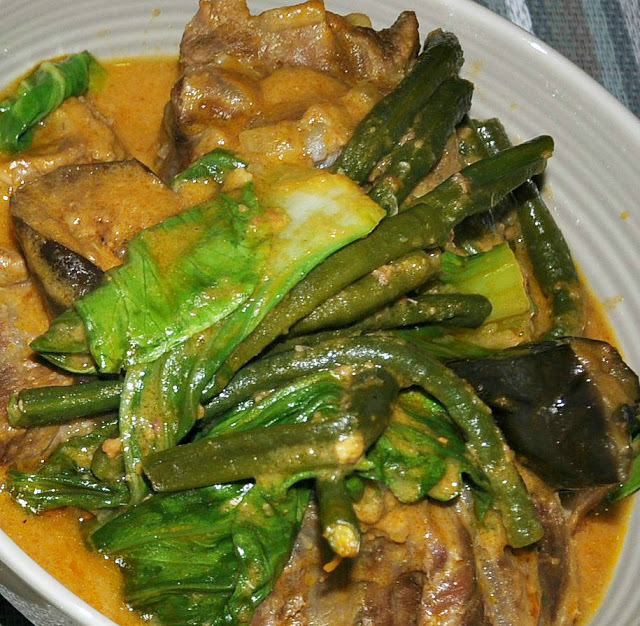 Kare-kare is usually served on special occasions and family gatherings. It is always accompanied with sautéed shrimp paste (bagoong alamang) for added flavor. Here's an easy to follow Kare Kare recipe (serves 3 - 4) from Janice Kusina webpage. 1. Place beef brisket and oxtail in a pot with water. Heat on high and bring to a boil. Simmer for 1 hour with the lid half-open. Set aside and keep beef broth for later. 2. In a casserole dish, heat oil and fry eggplants. Set aside. 3. On the same casserole dish, saute garlic until fragrant. Add onions, cook until transparent. 4. Put back cooked beef brisket and oxtail and fry until the meat turns brown. 5. Dissolve Mama Sita's Kare Kare sauce in 1 cup of water and pour in. 6. Add 3 cups of beef broth. 7. Add uncooked sticky rice. Mix and bring to a boil. 8. Pour in dissolve annatto seeds liquid and add peanut butter for thicker sauce and additional flavour. Simmer for 2 minutes. 9. Add fried eggplants and green beans, cook for 2 minutes. 10. Finally, add bok choy leaves and cook for 1 minute. Serve hot with plain white rice and shrimp paste (bagoong) on the side. Enjoy!